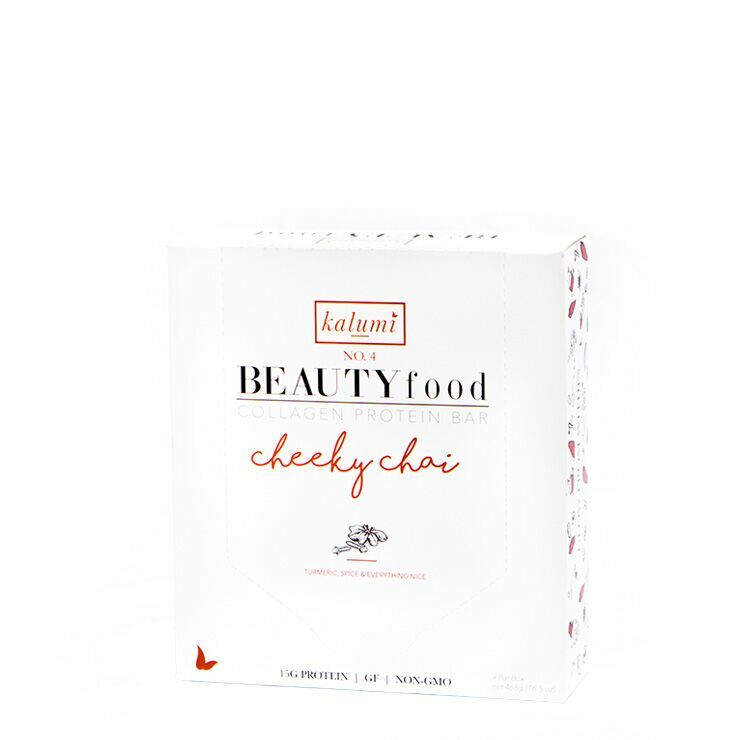 Eat your way to beautiful skin with Kalumi Beauty Cheeky Chai Marine Collagen Bar. 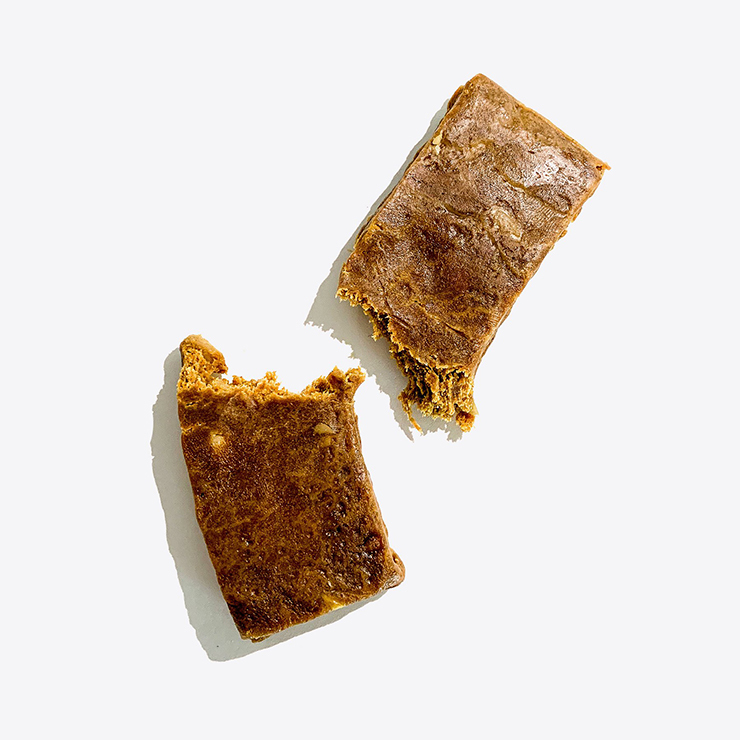 The vanilla chai flavor of this protein bar tastes like an indulgent treat. 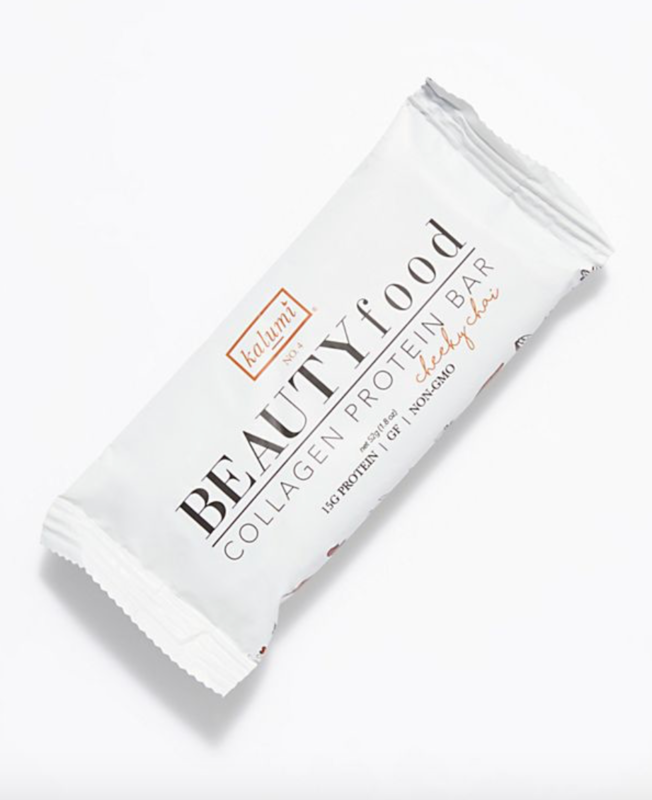 Each bar contains a full serving of marine collagen to make skin feel hydrated and combat the appearance of aging and uneven skin tone. Turmeric and black pepper are added to tone down sensations of inflammation. Who knew eating healthy could be so delicious? Sunflower Seed Butter, Hydrolyzed Marine Collagen Peptides, Organic Yacon Syrup, Sweet Potato, Cocoa Butter, Tapioca, Vanilla, Cinnamon, Ginger, Sea Salt, Turmeric, Clove, Black Pepper, Cardamom.